With a focus on Asian contexts, this book brings together knowledge on how values and practices, embedded and practised in the classroom, school, family, and the society at large, can influence students’ motivation, engagement and psychological well-being. The book synthesizes research on students and systems from culturally diverse Asian countries and economies, including Cambodia, Hong Kong-China, Indonesia, Japan, Korea, the Philippines, Singapore, Chinese Taipei, Thailand, the United Arab Emirates, and beyond. The book takes special interest in applying the insights gained from understanding students’ motivation, engagement, and well-being within their sociocultural contexts. 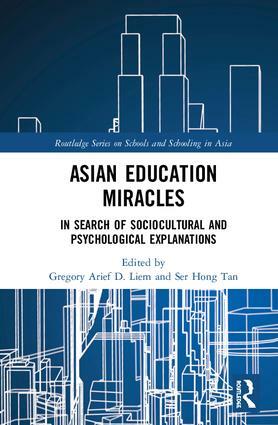 Importantly, chapters in the book are grounded on thorough theoretical reviews and sound empirical findings, which together inform practical applications to enhance the motivation, engagement, and well-being of students in the Asian region. Taken together, this book will serve as a comprehensive and authoritative source for scholars, researchers, and practitioners (teachers, school policy makers, and educators in general) who are interested in examining and enhancing student motivation, engagement, and well-being from Asian perspectives. The Asian Indian Hindu Immigrant Adolescents’ Experiences of Home-School Cultural Dissonance and Achievement Motivation: Do Parenting Practices Matter? disadvantaged groups, in the quest for equality of opportunity.